Sometimes we think of Holtville as just a little town where not much happens and no one of real consequence ever comes from here; but we would be wrong to think that way. Dennis Wilkinson graduated from Holtville High School in 1935 and became a U.S. Naval officer in 1940. After serving on three submarines and earning the Silver Star Award during World War II, he became the first commanding officer of the USS Nautilus, The world’s first nuclear-powered Submarine and developed America’s early nuclear submarine battle tactics. He later became commander of the first nuclear-powered surface ship, the missile cruiser USS Long Beach. Eventually he became Admiral in charge of the entire U.S. Atlantic Fleet that commanded most of the aircraft carriers and the entire submarine task force of the U.S. Navy. Russell Peck graduated in 1937 as a three-sport student-athlete and set records in both pole vaulting and broad jumping. He went on to Glendale JC and continued to set state records in the Paul Vault and broad jump, was a star on the football team, and the captain and number one player on the golf team. He then went to Stanford University where he was a starter on their football team, won the school’s novice championship in boxing, and was the Pacific Coast Conference Champion in the pole vault. As a senior at Stanford he was voted the school’s most all-around athlete. He was then drafted into the service and enlisted in the Naval Pre-Flight School at St. Mary’s College, and later assigned to the Moffett Field Naval Air Station where he flew both planes and blimps. Eventually he became the trainer for the Navy’s Blue Angels. After his discharge from service, he returned to Imperial Valley to run a crop-dusting business that had 35 planes, and became the valley’s most famous golfer of all time. Billy Hogue graduated from Holtville in 1945 and immediately became a professional rodeo rider. In 1952, he took first in calf-roping, third in bare-back riding, and won the all-around trophy at a major rodeo completion in the L.A. Coliseum. In 1955, he broke the arena record at Ellensburg, Washington, for roping and tying a calf. The previous record had stood for 26 years. In 1956, he finished sixth in bulldogging and seventh in calf-roping at the World Championships. In the 1980’s, Billy was involved in the Hollywood film industry and was offered the lead role in a movie title, “J.W. Coop”; but declined the role and chose to take a small part where he actually played himself. All three of these former Vikings have been inducted into the Green & Gold Hall of Fame, along with many others; and we are looking for more to add. 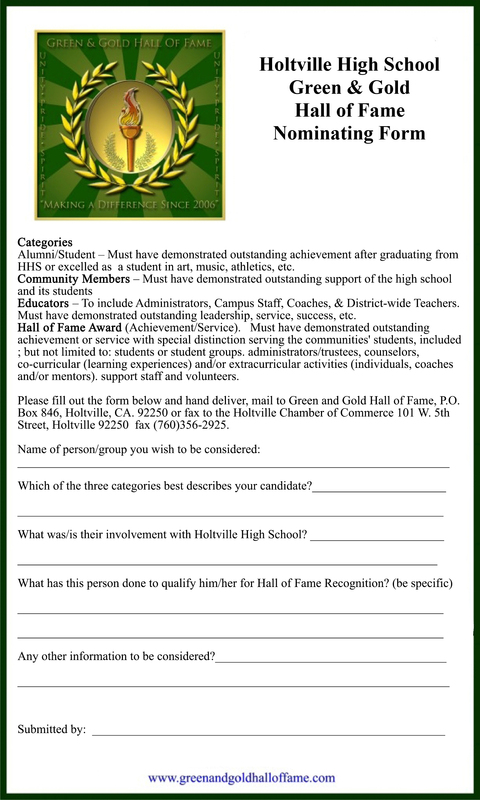 If you personally know of anyone that should be considered for the Hall of Fame, please contact us. 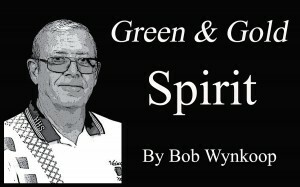 (Marv Wood, phone 760-356-2383).